Keeping kids physically active doesn't require expensive toys and gear—homemade PE equipment can do the job too! Versatile items such as small hand weights, exercise balls, hula hoops, jump ropes, and resistance bands are inexpensive. But you can also stock your kids' play area (or your own home gym) without spending a dime. Repurpose everyday household items to turn them into free phys ed gear and toys for you and your family to use together. Hand weights: Fill plastic bottles or milk jugs with colored beads, dried beans, or even water to add weight. Vary levels and contents for desired heaviness, then work those triceps and biceps. Coach kids carefully so they're less likely to drop a weight on their toes. Or have them lift arms while seated. Balance beam: Painter's tape placed directly on the floor, or sidewalk chalk outside; two-liter square milk cartons, washed, dried, stuffed with newspapers and taped together in a straight line; an old 2" by 4" beam (sanded, to minimize splinters). After kids master heel-to-toe walking, can they hop on one foot? Tiptoe? Step sideways? See if they can suggest new ways to travel the line. Parachute: Old bed sheet. Get arms moving and heart rates up by using your sheet to bounce small balls, socks, or balloons on top. Or just wave the parachute up and down, hide under it, toss it in the air, and so on. Scoops or catchers: Empty laundry detergent jugs, with the bottom cut out (sand edges or cover with electrical tape). Keep the handle, then use the scoop to toss and catch small balls up in the air or back and forth with a friend or sibling. Junior baseball bat: Wash and dry an empty 2-liter soda bottle. Fortify with an 18-inch dowel rod (put a rod in bottle, secure with a wood screw, finish with duct tape). Use with Wiffle balls, Nerf balls, wadded socks, beanbags, etc. Volleyball net or limbo stick: Piece of yarn, string, or old fabric sash. Hang across empty, carpeted space and loft balloons, beach balls, or wadded paper back and forth. Or do the limbo! If kids can't or won't arch their backs under the limbo stick (or in this case, ribbon), who cares? Let them waddle, crawl, or shimmy under the "stick" however they like. Twister target: Colored tape; non-slip shelf liner or old yoga mat cut into shapes; old mouse pads or silicone hot pads. 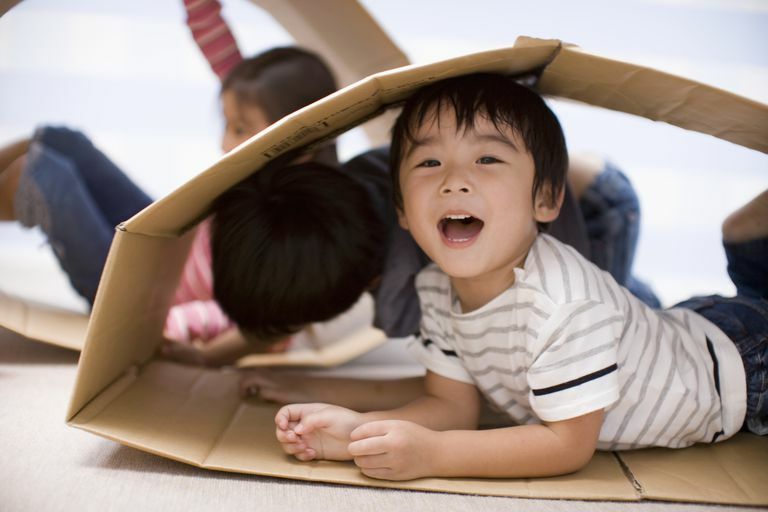 Spread out on the floor to create obstacle courses, jumping games, stretching games, and more. Ping-pong paddles: Small, sturdy paper plates with handles made from craft sticks or cardboard tubes. If you don't have any Ping-pong balls, use a balloon or a crumpled ball of paper. Nothing at all: Tons of these brain breaks don't require any equipment except a little space, energy, and imagination.